Themes of identity fluidity and Cartesian notions of the struggle between the mind and the flesh. And how they can be expressed via high velocity action scenes. Director Rupert Sanders’ live action version is another chapter in this on-going series. Like the 1995 Ghost in The Shell, Sander’s film understands any vision of the future stills operates within the monolithic shadow of Ridley Scott’s 1982 classic, Blade Runner. The Wachowski siblings may have reinvented Hollywood sci-fi and action cinema back in 1999 with The Matrix. A film, let’s not forget, for which they secured funding by showing producers a Ghost in the Shell DVD for an idea of their ambitions. Yet, Scott’s 35-year-old movie still dominates perceptions of future worlds. Like Ghost in the Shell, Blade Runner features characters whose minds and bodies are at war, plus a fake-memory plot device key to the Oshii’s anime and Sander’s Hollywood remake. The 2017 movie is a stunning vision of a lived-in future, scoring points because it resists simply regurgitating Scott’s achievement (or for that matter, the Wachowskis’). New Port City is a megalopolis where skyscraper-sized holograms vie for attention and cybernetic enhancements have enhanced/twisted the human form. Our current obsession with visual stimuli and body image, plus shifting gender identities, make it easy to imagine the road that leads us here. With hefty themes of self, cybernetics and future tech, the 1995 anime was unconcerned if audiences were left scratching their heads. Paramount Studios was never going to let such frosted glass storytelling risk their hoped-for franchise starter. The 2017 movie has a simplified (but not simplistic) plot that must also operate as a superhero origins tale. Cue Jason Bourne (or Age of Ultron Black Widow) style flashbacks, the meaning of which has fuelled the controversy and is discussed further below. But, the plot does its job. As much a procedural thriller as a thesis on self, this is well-executed future noir. Johansson’s Major and her partner Batou (Pilou Asbæk) investigate murders of high-level employees at tech company Hanka. The script hits the right beats for a hardboiled crime story, where those pursuing the criminals discover the stakes are much higher than first imagined. Sanders keeps the action gritty and street-level, delivered in brief bursts largely faithful to the anime. One criticism regular moviegoers could have is that a more spectacular moment of gunplay was required. A moment perhaps similar to the gauntlet of murderous automatons Batou and Major run at the climax of Ghost in the Shell 2: Innocence. 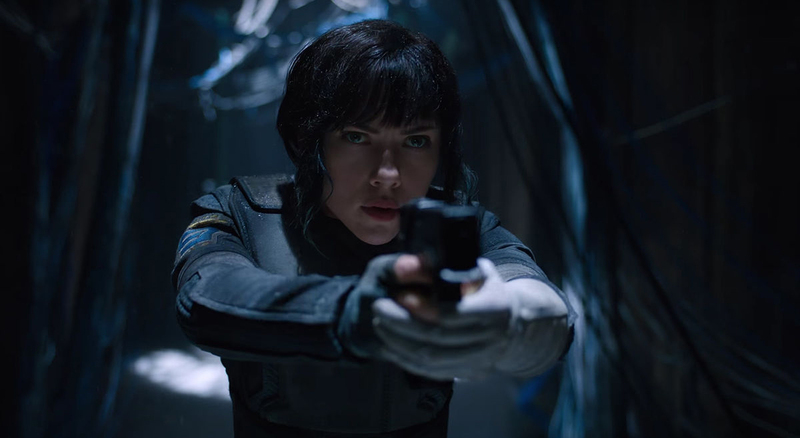 Cries of Hollywood whitewashing have dogged the choice of Scarlett Johansson as Major Mira Killian (renamed from the source material’s Motoko Kusanagi). Recasting ethnic roles with white actors, oft-cited examples of whitewashing include Tilda Swinton as The Ancient One in Doctor Strange, a character who was an Asian male in the comics, and Emma Stone as a Chinese-Hawaiian woman in the you-didn’t-miss-much Aloha. Cases such as these are more contentious than Johansson’s casting. In the manga and anime Major is a cyborg. Her name, Motoko, may be Japanese, but her original character is a synthetic (sorry, artificial person). Created in a city director Oshii says was modelled on Hong Kong, not Tokyo, for the anime. Author Masamune Shirow chose to depict her in the Japanese style of Western characters – tall, pneumatic chested, with large, wide eyes that typified a certain period of anime. If it’s fealty to the source material(s), Johansson is arguably more accurate a representation than an Asian counterpart. Something echoed in the Japanese public’s comments on the decision to go with the actress. The Hollywood Reporter and YouTube celeb That Japanese Man Yuta both report Japanese bemusement at the controversy (although THR also ran interviews with Japanese actresses critical of the casting). Anything this contentious will not be resolved by “but they said” points and counterpoints. 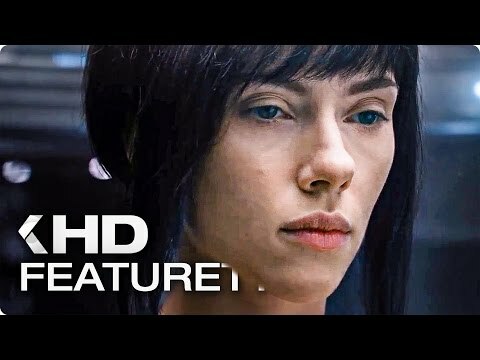 Complicating this further is Ghost in the Shell 2017’s plot point that Johansson’s Mira Killian actually was a Japanese woman called Motoko Kusanagi. 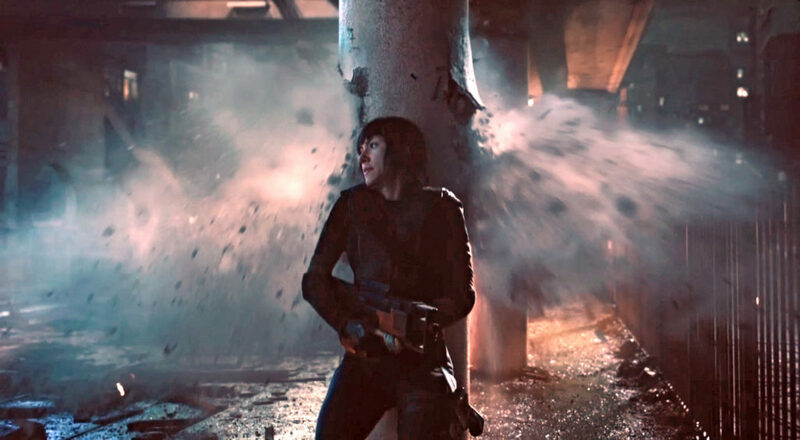 A political dissident and runaway, in the Hollywood version the Hanka corporation captured Motoko and her boyfriend Kuze (Michael Pitt), placing their brains in cybernetic bodies. This has created more fan fury and certainly clears up the question of Motoko’s original nationality. Yet, could this decision be considered braver than just ignoring the debate and hoping it would go away, something opted for by most movies? Within the context of the film it works; what better way for a nefarious corporation to cover its tracks than changing someone’s race? It also ties into the series’ themes of struggle between mind and body, and the rush to cybernetic enhancement. 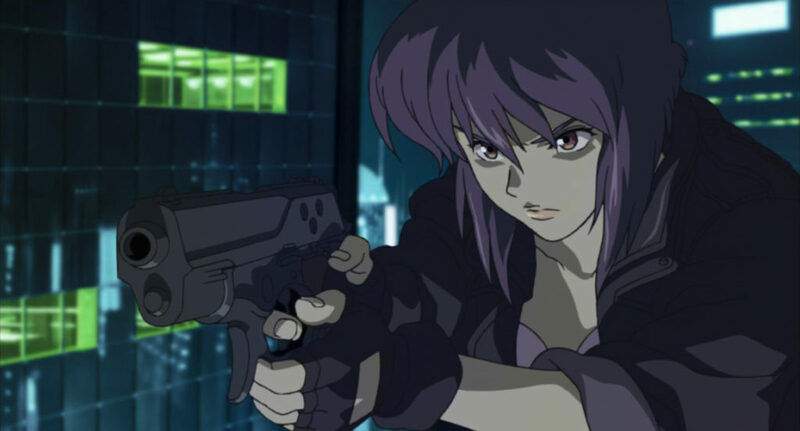 As a commentary on the furore over Johansson’s casting, it is a front and centre acknowledgement of the Japanese origins of the manga and anime, the character of Motoko on which Mira is based, and may even be a sly critique of the current Hollywood mentality when adapting foreign properties. If the latter is the case, is it worse than the favourably received Doctor Strange? A film with echoes of colonialism in Tilda Swinton’s casting, plus no acknowledgement the character had been substantially shifted. Yet, Doctor Strange largely received a free pass from the fanbase who supported it to a boffo box office. 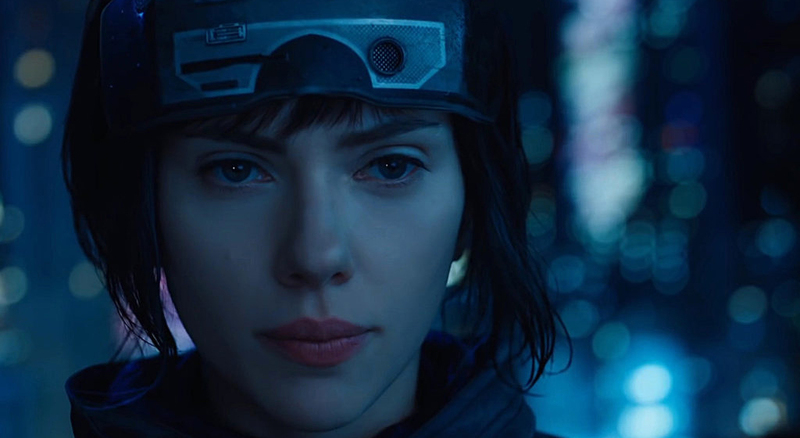 Will Ghost in the Shell eventally be seen as a film that got involved in the debate? Going further down the rabbit hole, in Japan, Ghost in the Shell 2017 is being dubbed by the voice cast of the original 1995 anime. 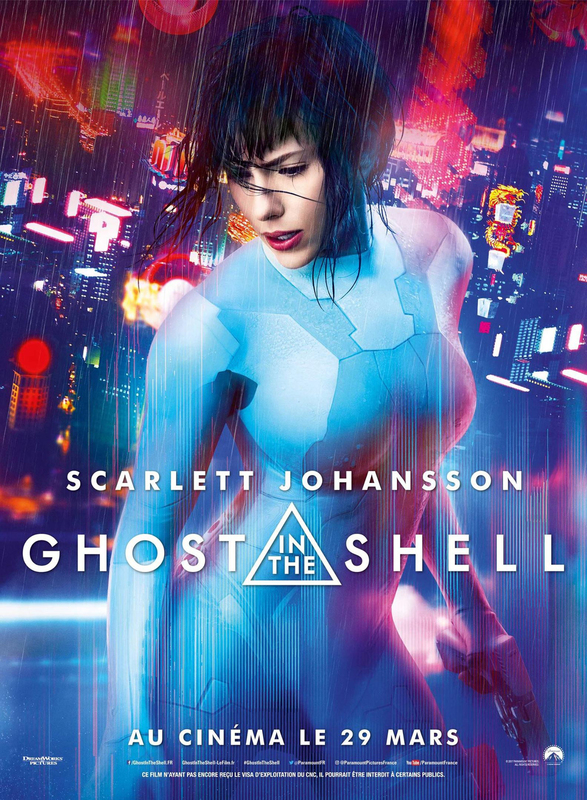 Scarlett Johansson’s image will be producing Atsuko Tanaka’s voice, perhaps the perfect fusion of shell and ghost? Unfortunately, the heat around Johansson’s casting has overshadowed the multi-national cast Sanders gathered for his movie. Japanese legend Takeshi Kitano is perfect as Major’s taciturn boss. Danish actor Asbæk is Batou, the same way J.J. Simmons was Spider-Man’s Jonah Jameson. Singaporean Chin Han is interesting casting as Togusa, deserving more screen time than he’s allowed in the swift 107-minute duration. Elsewhere, Polish-Kurd, French, Romanian and Zimbabwean actors appear. New Port City has the feel of a sprawling mega-city in which diverse groups have sought a new life (Major’s false memory, implanted by Hanka, is of her immigrant boat being attacked by terrorists as it approached the city). Paramount Studios’ casting decision has nothing to do with racism and everything to do with playing safe. In an age where studios scramble for precious franchises, Johansson’s casting makes perfect sense. Back in 2014 she opened the similar, but markedly cheaper, Lucy to $44m in its first weekend. She is a mainstay of the Marvel Cinematic Universe. She is a talented actress. It’s a no-brainer. But, a thirteen day US gross of $34m, and Paramount estimating an overall $60m loss, make a return trip to New Port City doubtful. Which is a genuine shame. There is much more to explore in this universe and Johansson is a charismatic guide. Plus, a sequel could see the filmmakers become even more meta and comment on the controversy generated by that surprise twist. Ghost in the Shell 2017’s chief role was establishing characters and the movie’s world. Future instalments could have brought to the foreground Cronenbergian (or Tsukamotian) concepts of bio-tech degrading and erasing notions of race and culture. Ethical debates on whether physical improvement is better than cultural heritage. All with high velocity firepower. Which leaves us thinking, if Paramount Studios knew a big star wouldn’t open this film, and instead might damage its chances, would they have cast a Japanese actress in a more modestly budgeted version? Oscar nominated Pacific Rim star Rinko Kikuchi was a preferred fan choice and undoubtedly could have carried the film. Of course, if Paramount had known any of this they would have pulled the plug early on and probably looked through 2000 AD’s vault for a viable property. Normally at this point, we’d conclude with the consideration Netflix could become a Shell-raiser. After all, Sense8 proved how exciting and gender/nationality/identity/mind bending sci-fi can be. Netflix liked it well enough to give it a Christmas Special and commission a second series. But, they themselves have recently been on the receiving end of whitewashing criticism. The tin-eared Iron Fist and actor Edward Zo’s YouTube video alleging Asian actors were not being considered for key roles in the Netflix Death Note adaptation have put that media giant on the defensive. And we’re white back to the beginning. Or maybe not. As of this writing, off a $4.5m budget, Get Out has done $164m at the US box office. The film’s lead is black British actor Daniel Kaluuya and its director, comedian Jordan Peele, was untested helming a feature length movie. There are white folk in it, but Allison Williams, Catherine Keener, and Bradley Whitford do not open movies. Yet, the film struck a chord with audiences across the spectrum. Maybe this and the sizable number of online signatures bemoaning white casting (Ghost in the Shell received over a 100,000) means Hollywood may begin revising its opinion of what (and who) is bankable and what (and who) isn’t. Until then, check out Ghost in the Shell 2017 (and the 1995 anime). Sanders’ film is undeserving of all the brickbats, it attempts to get involved in the debate, and brims with potential for future instalments.